In the spring of 2002, a friend of mine (who had accepted Almighty God’s work) came to my home. He took out the Bible and asked me several questions which I never heard of. I couldn’t answer them at all. So I called Leader Liu to come to my home. I had thought that he could surely answer these questions. But unexpectedly, he not only couldn’t answer them but said fiercely to my friend, “I have no time to listen to your nonsense. Today you just came to deceive him! You are ‘the fox who preaches to the goose!’ You want to draw away my sheep? No way! Even if his parents come, they can’t, let alone you, his friend. You must leave now.” My friend said kindly, “Brother, don’t be angry. We all are believers in God. Let’s sit down and have a talk.” “Who wants to talk with you? Leave at once! Otherwise, I won’t be so easy on you. If you come again, I will call the police to arrest you! …” Just like this, my friend was driven away by the leader without having lunch at my home. When the leader left, he told me again and again, “You should treat these people in this way and never be easy on them! Don’t receive the outsiders anymore! …” “It’s lucky that we have such a good leader!” I thought. But my wife said, “Why couldn’t the leader answer your friend’s questions? These questions are not beyond the Bible. I don’t think that he knows everything! What’s more, he often told us to love enemies and love others as ourselves, but where is his love today? …” “You know what? Long hair, short wit! …” When I heard my wife speak “ill” of the leader, I got very angry with her and chewed her out. Soon it was July. I suddenly had cerebral vascular disease and rheumatic heart disease. I lay in bed, unable to move. I prayed to the Lord about this several times every day. Two months passed, and I spent two or three thousand yuan on my diseases. However, my condition didn’t get better at all but became worse and worse. I passed the time in such suffering… One day in December, it was snowing heavily, with bitter wind howling. It hadn’t occurred to me that my friend walked about ten miles to my home. Seeing that I was so sick, he shed tears and said guiltily, “I’m really indebted to God. I failed to preach God’s new work to you, so that you suffer this.” He didn’t say much, but I felt his true feelings. “It’s half a year since I was ill, and I’ve never seen anyone shed tears for me! Why can he do so? …” My friend took my hands and said sincerely, “Lao Li, God loves man, and He desires all men to be saved and not one to perish. So He sent the brothers and sisters to preach the gospel to you again and again! God is wise and wonderful, and no one can fathom His work. The leaders don’t know everything! …” “Nonsense! If the leaders don’t know, who will know? I will only follow my leader! You go at once! Never come again!” Hearing that he said the leaders didn’t know everything, I lost my temper again and stopped him at once and showed him the door. Seeing this, he had to leave with tears into the wind and snow. Thinking of this, I hated myself bitterly. “I was so blind and ignorant that I adored the leader blindly and resisted God’s new work for so long. I shut the door on the brothers and sisters sent by God many times and treated my good old friend heartlessly who was so kind to come to preach God’s new work to me. I’m really a muddleheaded believer and have acted as Satan’s accomplice! If it were not for Almighty God’s great love, I couldn’t possibly come before God.” At that moment, remorse, regret, and gratitude welled up in me. I burst into tears and prayed, “O Almighty God! Although I believed in You, I listened to my leader and adored him as my idol and refused Your salvation of the last days. I really grieved Your heart. I thank You that You overlook my foolishness and ignorance and forget my unrighteousness and bring me back to Your family, so that I have known that You are the One whom I should worship and look up to. O Almighty God! I’m sure You are the Lord Jesus who has reappeared. I’m willing to follow You with heart and soul and never turn back! I’m more willing to offer my whole being to You and cooperate with Your gospel work in a practical way to repay Your great love!” At last, both my wife and I accepted Almighty God’s new work happily. After following Almighty God for a few months, I was miraculously recovered. From this, I even more tasted that God’s love is really wide, long, deep, and high, and I really couldn’t put it into words. Here, I want to give sincere advice to those brothers and sisters who believe and look up to the leaders: Learn a lesson from me, and don’t persist in the wrong way, for our leaders can’t give us life. 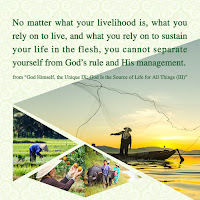 Only Almighty God can save us and bestow life on us. Wake up! 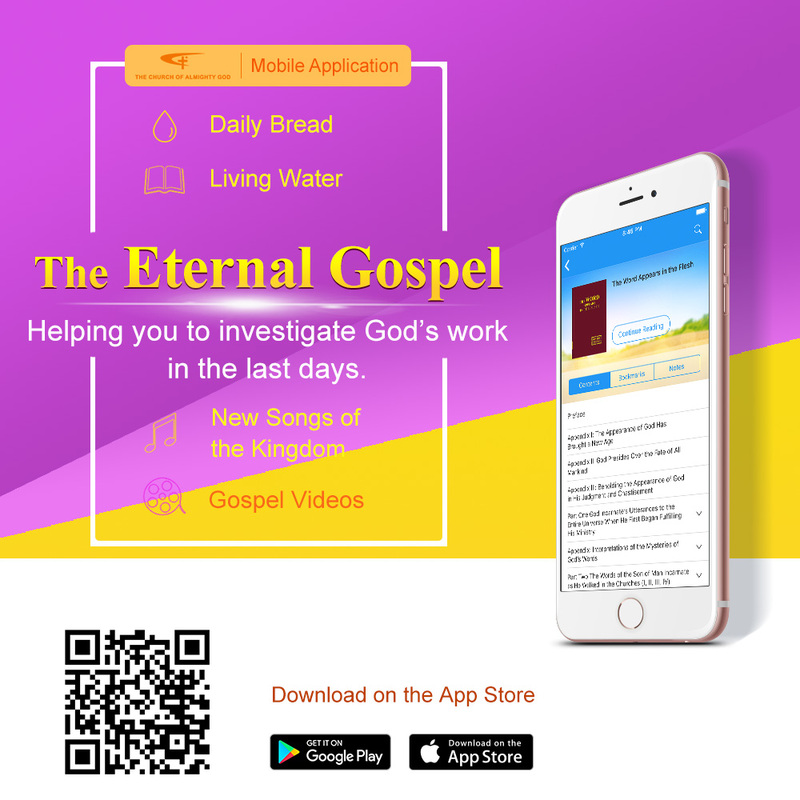 Almighty God—the Watcher, will embrace your arrival any time!